Admit it. The terms ‘Lexus’ and ‘Pickup’ together in the same sentence are as oxymoronic as they can get. Right? Well… Think again, because Lexus seems bent on doing precisely that. I.e. creating a pickup up truck with the legendary ‘L” parked right in its usual place on the front grille as with all other Lexus automobiles. But Lexus would not be the first one breaking the taboo. Mercedes beat them with their very own version of a Merc ‘truck’. Let’s read the text about newest Lexus Pickup Truck. Late last winter, Lexus held a press conference in Australia where Mr. Makoto Tanaka, project leader: Product-planning division categorically declared that Lexus is indeed thinking along those lines. That is, thinking of launching their very own Lexus Pickup Truck. 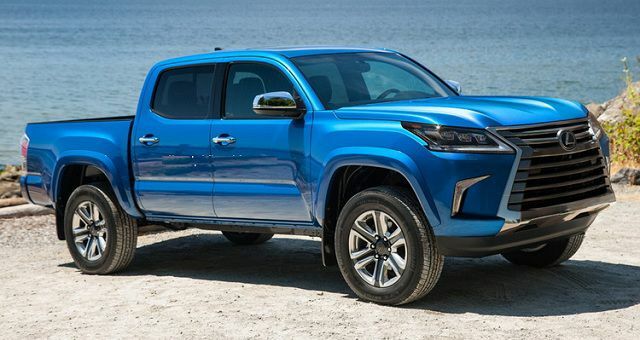 The Lexus Pickup Truck (should it ever see the light of day) would almost certainly be based on the Toyota Hilux, the platform primarily because it is arguably one of the best-known truck in the world. In fact, its reputation for reliability and toughness in even the most difficult of terrains is such that everyone from the dreaded ISIL terror group in the Middle East to South Asian politicians flaunt it both as a status symbol and as the ultimate means of getting where ever they want to go regardless of the harshness of the terrain. Basing a Lexus Pickup Truck on the living legend that is the Toyota Hilux would almost certainly allow it to poach off the latter’s well-justified reputation for reliability in the most adverse of conditions. A few decades back the mere idea of a “Luxury Truck” sounded absolutely ridiculous after all, a truck is a truck and a luxury sedan is well a luxury sedan. But now many trailblazers have mated the two concepts and luxury trucks like Ford F-150 Limited and GMC Sierra 1500 Denali actually have carved a market niche of their very own. And why not? After all merging the luxury of a high-end sedan with the rugged reliability and off-road capabilities of a truck does offer the best of both worlds. If Ford and Mercedes and GMC can do it, there is no reason why Lexus should fall behind. 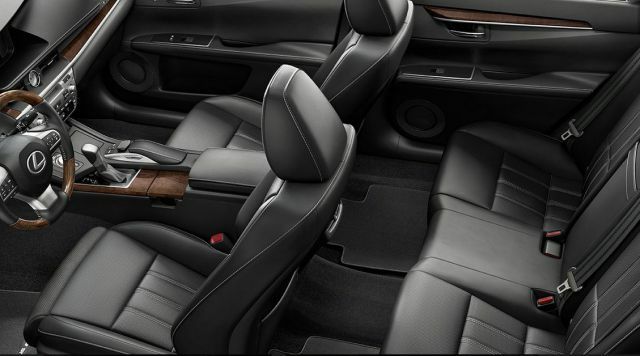 Add to that the fact that Lexus already has a solid reputation in the market as a producer of luxury SUVs (Sports utility vehicles) that offer both high-end features and comfort along with excellent off-road capabilities thanks to their all-wheel drive options and excellent front and rear differentials that are able to perform well regardless of the roughness of the terrain while being able to give an exceptionally smooth ride on metalled roads. The Lexus truck (if it ever bursts on the scene) would also be an offshoot of the same tree and as such would probably be able to amass the same reputation as their SUVs. However, as of today, Lexus has no plans whatsoever of actually creating such a truck. As stated earlier, the Lexus Pickup Truck is at the bottom of the priority list. First, they would unveil their current batch of SUVs and crossovers. (A radical new concept that merges the luxury of a high-end sedan with the power and haulage capabilities of a truck) No doubt, they are inspired by their Korean rivals such as Hyundai and Kia who are pioneering the concept of ‘Crossover’ vehicles’. So, eagerly waiting for a time frame is an exercise in futility. However, it may be speculated that the Lexus Pickup Truck would be either a full time 4 wheel drive or a part time one with both hi & and low 4×4 settings available on both manual and auto trannies and front and rear differentials optimized for both off road and on road performance. The Lexus Pickup Truck will probably have high ground clearance for an easy crossing of both water and rock obstacles. And since it will be a luxury truck, it just might resemble the Toyota Tundra or the Tacoma. We can but keep our fingers crossed!